Avegant’s Glyph is the world’s first personal theater designed with lightweight portability, rich audio, and amazingly precise video. 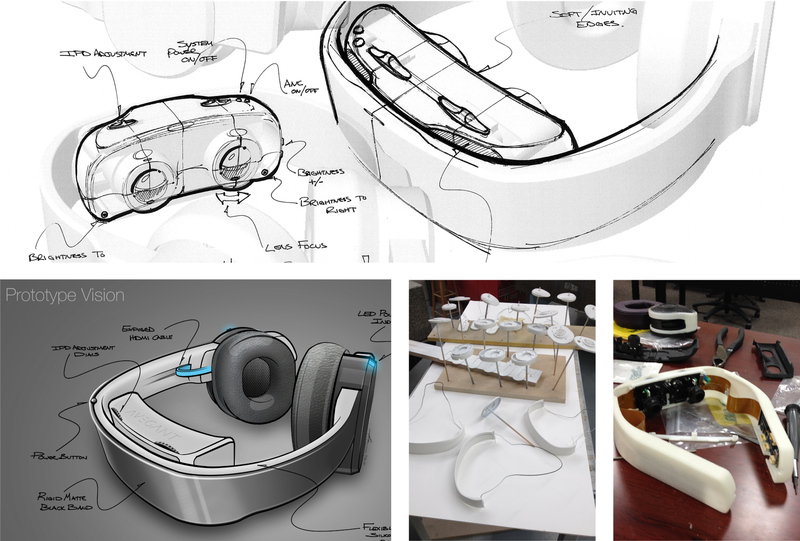 We worked with the Avegant team to provide ergonomic adjustments and industry-leading aesthetics. 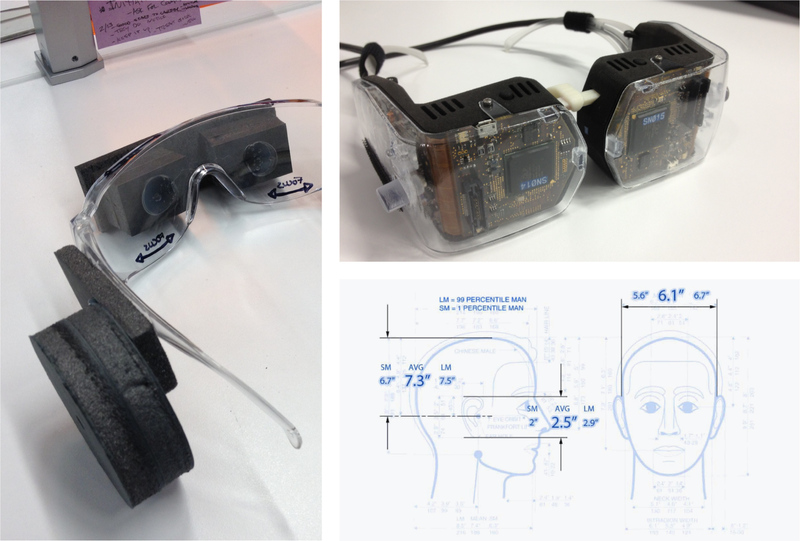 We created functional prototypes and alpha units that were tested and released for the 2014 Consumer Electronics Show. The team took home a CES Editor’s Choice Award and a video spot on USA Today. Since then, the Glyph has evolved and went on to win the Best of CES Award in 2016. Avegant’s proprietary display technology is really not a display at all. An image is projected directly onto the user’s retina through millions of micromirrors and reflected light. This technology replicates the way we see and interpret the world around us, thus creating the most natural and comfortable viewing experience on the market. The functional engineering prototype, above, affectionately named the “steam punk proto,” provided an excellent demonstration of the Glyph’s core virtual retinal display technology. This prototype lacked user-friendly ergonomic adjustments and a desirable form factor. With the optics and circuit boards undergoing a new round of development at Avegant, Tekna focused its initial efforts on adjusting the headset to fit a wide range of head shapes and sizes. Critical anthropometric data were collected and studied. User studies were performed to refine interaction positions and inputs. Our goals were reliability, comfort and style. After the basic prototype direction was defined, detailed part-design and assemble methodology was explored. Throughout the process, there was a concentrated effort to maintain a robust design and yet reduce size, weight and part count. In parallel, other team members benchmarked competitive product by exploring design elements, materials choices, manufacturing methods and branding messages. This research, along with input from Avegant, served as the foundation for the Glyph’s personality and aesthetic development. Several rounds of detailed part assemblies were built with parametric modeling software. Each round concluded with rapid prototyped, proof-of-concept models tested by users, media, and investors across the country. The acoustic cavity received additional attention from partners in California and Austria to define Avegant’s signature sound and noise cancelation system. The revolutionary technology and user adjustment challenges meant that this system could only be designed from the inside out. Unique mechanisms allowing smooth interpupilary distance and diopter lens adjustments were created and then carefully packaged within the global design. Those adjustments were critical to aligning the micromirrors with the user’s retina. Without proper positioning, the viewing experience was compromised. Circuit boards were strategically positioned for performance, interaction and system balance. Cables and wires were precisely routed, service loops were created and strain reliefs provided. The assembly of each subsystem was carefully planned. Once the optics and circuit boards for the International Consumers Electronics Show prototypes were defined, the final aesthetic details were established. Renderings were created to communicate form, color, finish, and material. An international press release introduced these early images of the Glyph Alpha to the world. A month before the deadline, a test build was conducted in Austin, Texas. After two days, 43 necessary changes were identified and after an intense week of design, final part files were released for fabrication. CNC machines were fired up, 3D printers were initialed, and model makers were prepared. With over hundreds of parts to fabricate, this project required the orchestration of many partners to ensure delivery of successful prototypes. 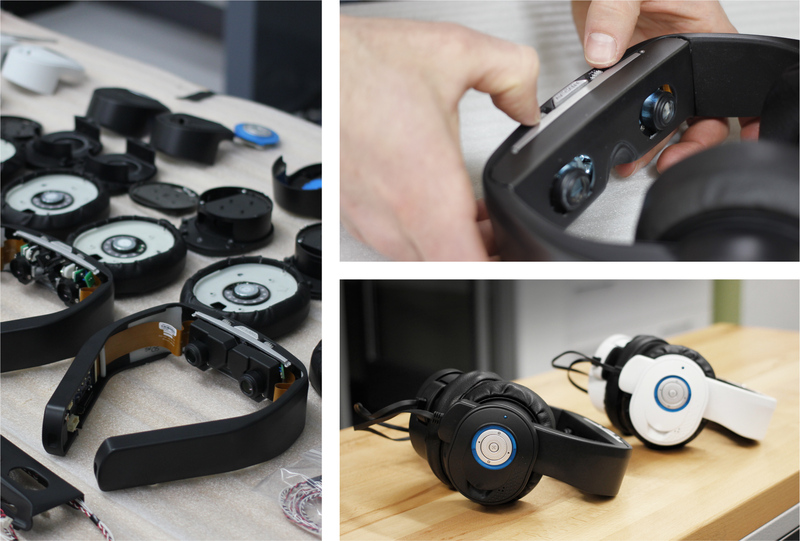 Two weeks after releasing data, Avegant and Tekna team members gathered to build the first of 12 functional prototypes. After 16 hours of concentrated effort, the first working Glyph Alpha was born. In two more build sessions lasting several days (and nights), additional improvements were added. Finally, the remaining Alpha units were completed, tested, and released for the show. Success was realized at CES as the Glyph received massive media attention. Reviewers raved about the Glyph’s revolutionary technology and superior performance. The team took home a CES Editor’s Choice Award and a video spot on USA Today. After celebrating the positive media response for a brief moment, dramatic visionary renderings illustrating the next phase of the technology were released in advance of a pending crowd funding campaign. It was time to do it all over again. Stay tuned for next chapter of the Avegant Glyph story.